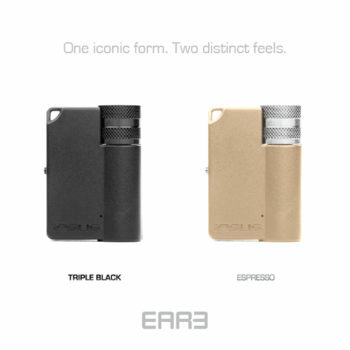 Proper speaker placement is crucial. 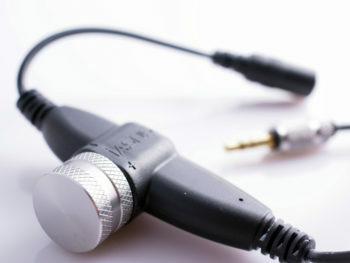 Please position the speakers to be right up to the ears. 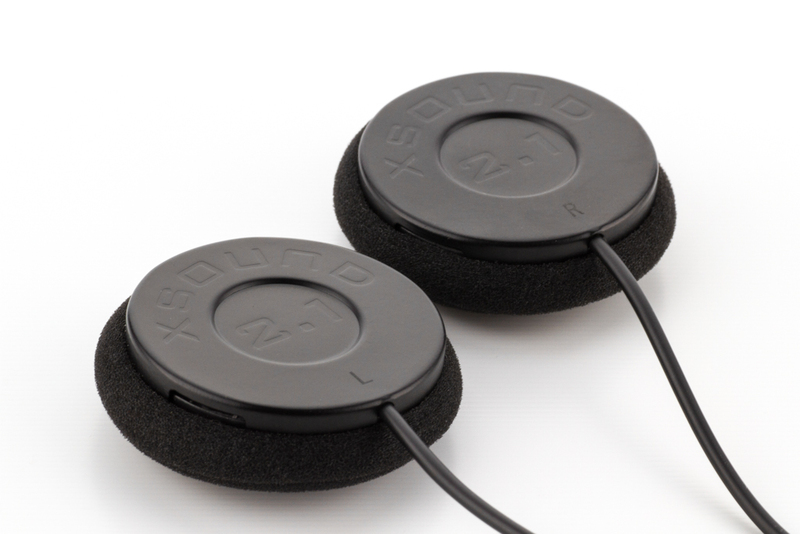 Any space left between the ear and speaker will result in a lower volume and usually leads to the volume being turned up to excessive levels. 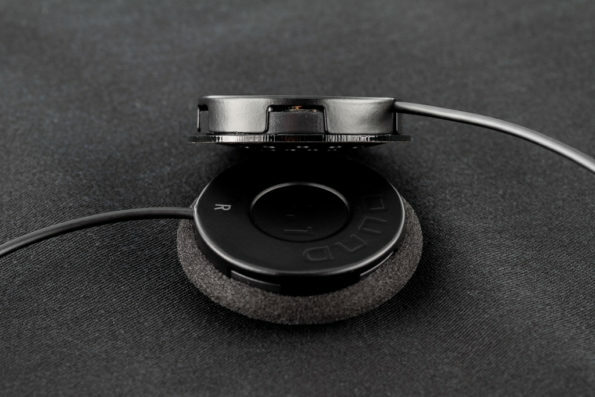 THIS MAY CAUSE PERMANENT DAMAGE TO THE SPEAKERS. 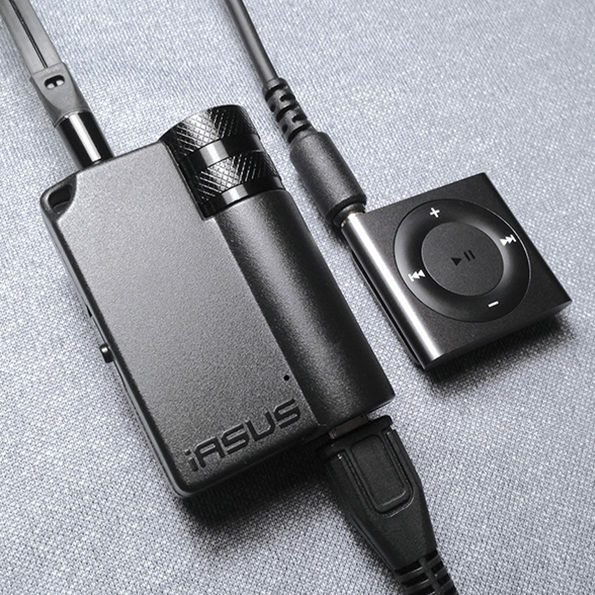 iASUS does not recommend listening to music at excessive levels which may lead to hearing damage. 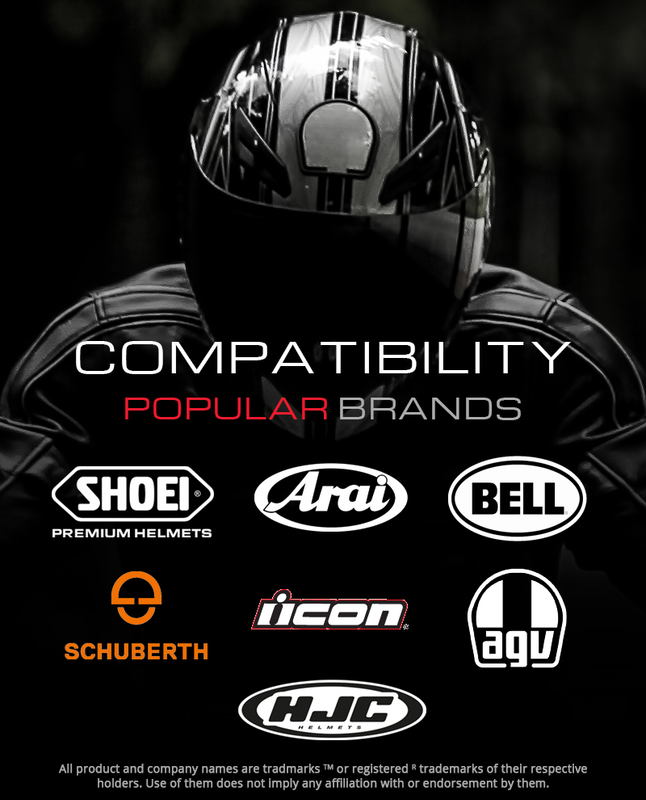 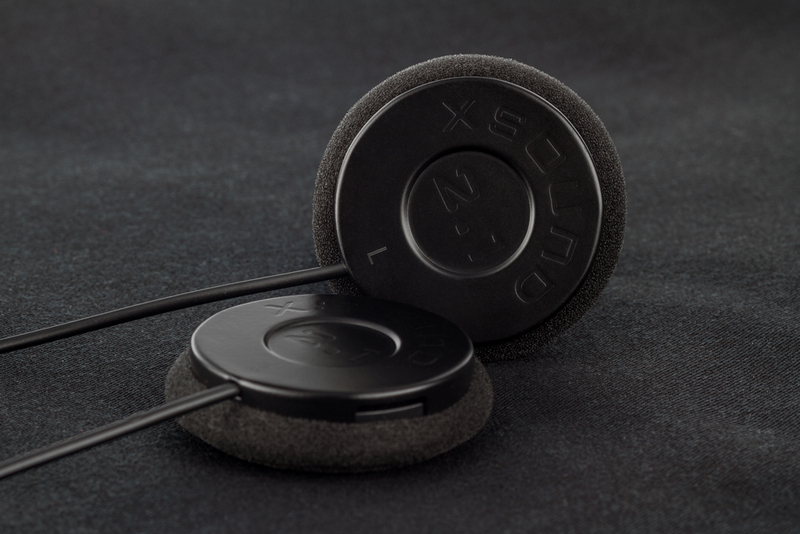 For proper installation, the XSound 2.1 helmet speakers need to be touching your ears during use inside your helmet. 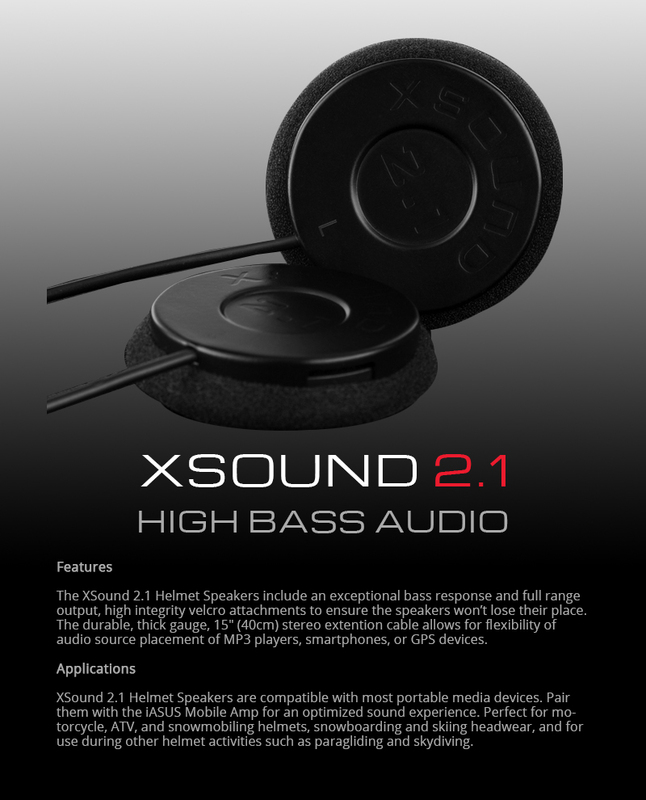 We also recommend that the XSound 2.1 helmet speakers are mounted in a more forward and lower position in the ear pockets to accommodate your ears more effectively. 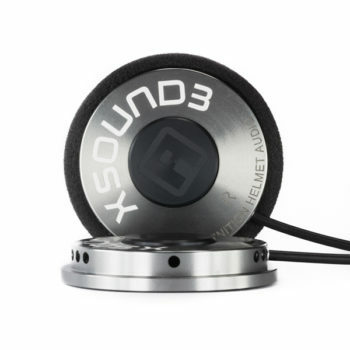 Delivering performance helmet audio, the XSound 2.1 is an updated version of our long running XSound 2 Helmet Speaker. 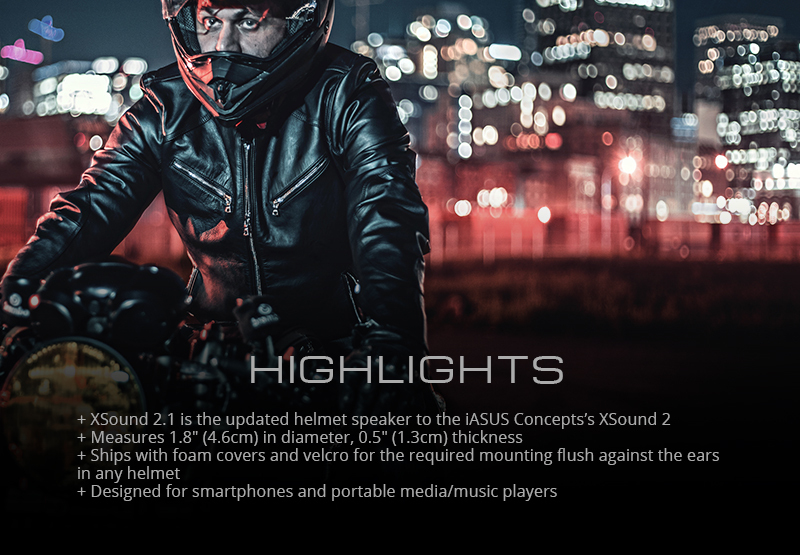 Boasting the rich, full range audio quality that iASUS designs have consistently delivered, the XSound 2.1 Helmet Speakers now has a new, clean matte-black finish on a revised steel chassis. I’ve been using the XSound 3 helmet speakers for a couple of years now and after moving them to my newer weekend helmet (Arai Corsair-X), I wanted to get a another pair for my now daily Shoei RF-1000 so there is no need to shuffle them around. So I decided to get these XSound 2.1 and was surprised that even though these are half the price of the XSound 3, they still sound quite good! 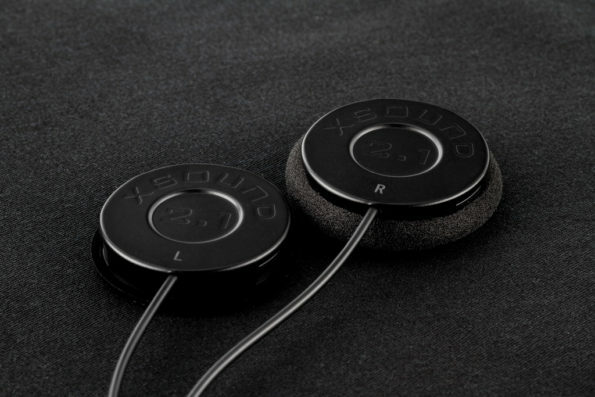 They are thicker than the aluminum-body XSound 3 but are still thin enough that I had no fitment issues with the ear pockets and my ears. 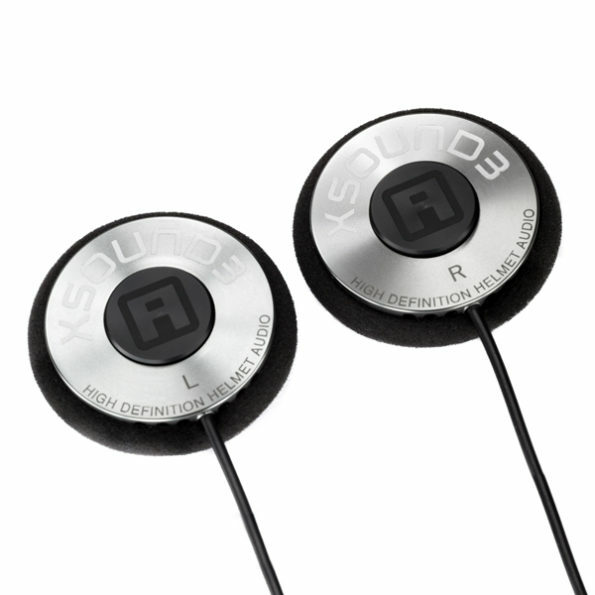 The drivers are also quite large as well, giving ample bass. 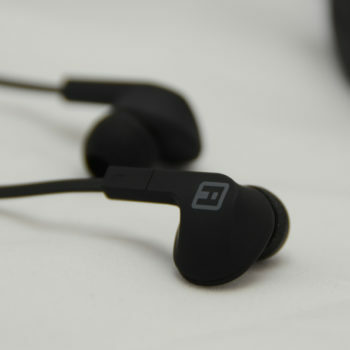 I used them with my iPhone 6 at first but recently moved my Sena 20S headset over with the 3.5mm connection and they both sound brilliant!